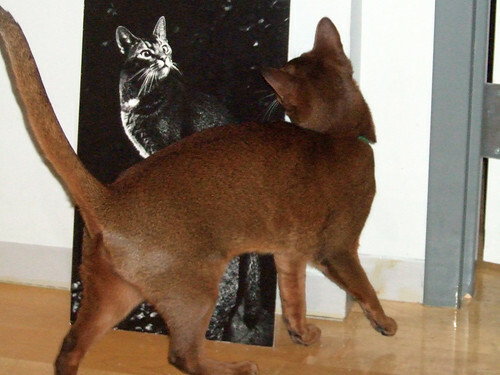 I got the vintage Abyssinian print I won on eBay today. It’s incredible. It’s printed on really high quality photo paper and mounted on a really heavy backing (2-3mm thick). I want to frame it in a black metal frame with a pale grey mat.